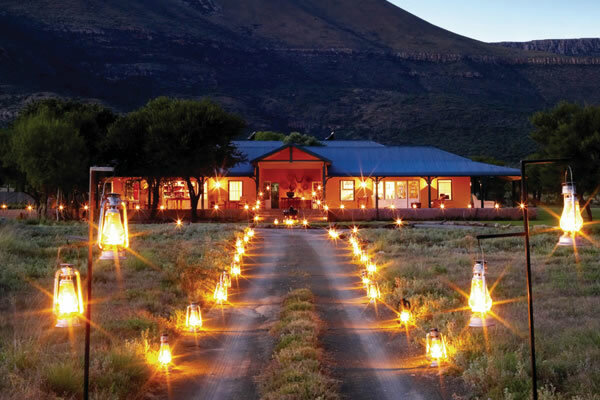 Samara Private Game Reserve is a privately owned and award-winning wildlife sanctuary in the Eastern Cape of South Africa. Spanning 70 000 acres, it forms part of an ancient landscape called the Karoo – a place of deep silence and great big skies that blink at night with liberal scatterings of stars. The Samara Private Game Reserve is rimmed by mountains, and these are etched with the ancient art of the first people of the area. Cheetah streak the vast wilderness, and other endangered species such as the Cape Mountain Zebra and the Blue Crane have also found safety on the land. Herds of antelope are one of the signature sightings at Samara – and one hardly ever enjoyed at game reserves situated further north in South Africa. 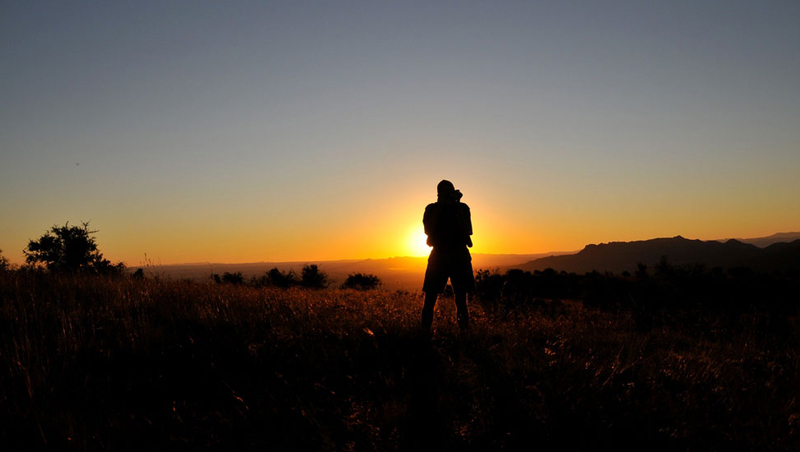 Without risk of malaria or other tropical diseases, the Eastern Cape is an immensely appealing safari destination. Conservation is a high priority at Samara. Vast tracts of land have been rehabilitated to create a rich kaleidoscope of wildlife. One of Samara’s accomplishments has been the re-introduction of cheetah, which had been lost to the area for more than a hundred years. Today, privileged guests have the rare opportunity to witness these exquisite animals at home once again in a natural wilderness. 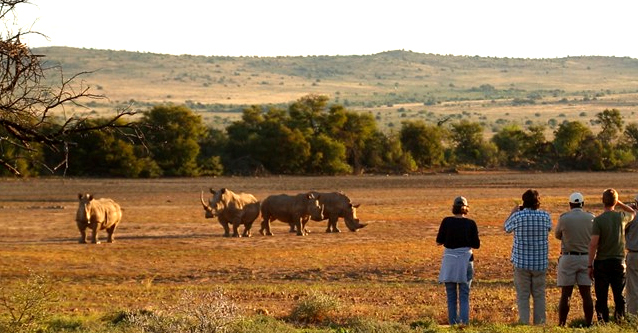 Samara undertakes various important conservation projects and is a leader in the field of tracker training in South Africa. There is a Tracking Academy on the reserve, which guests can visit during their stay. 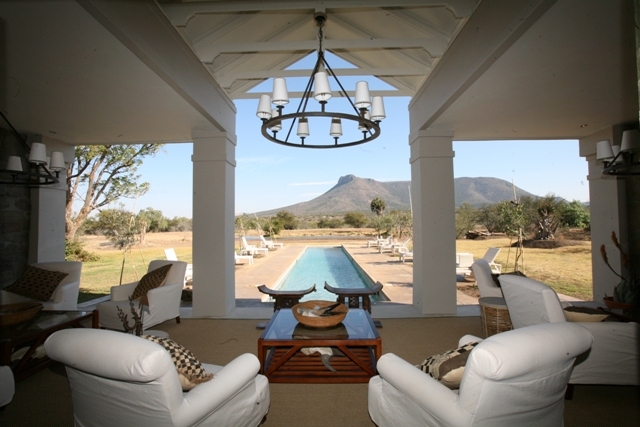 Samara’s luxury Karoo Lodge is an intimate safari retreat comprising just a handful of Karoo-style suites set in a garden. 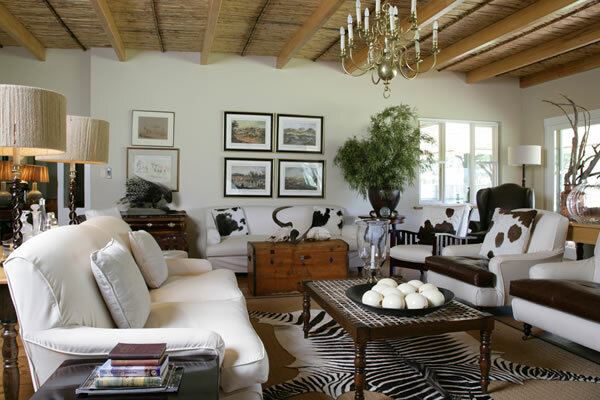 Each is beautifully furnished, has a luxury en-suite bathroom, is air-conditioned and has a fireplace. Outdoor showers with spectacular views are one of the ultimate luxury African travel experiences! 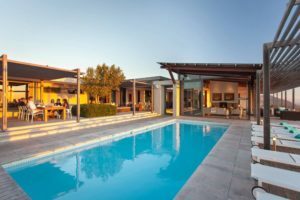 Appreciate the vastness of the Karoo from a private patio and make use of the central homestead’s gracious living and dining rooms, bar and TV area, swimming pool, tennis court, garden and outdoor dining spaces. Stunning accommodation is also offered at The Manor at Samara on an exclusive-use basis. 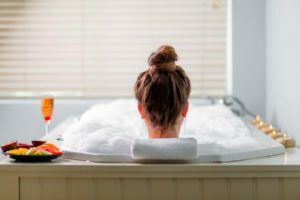 The Manor offers sumptuous living spaces indoors and out, and four air-conditioned suites. Samara has been awarded Gold Standard status by Condé Nast Traveller in their selection of the world’s premium hotels and lodges. Samara’s wilderness extends over four distinct biomes. As a result there is great diversity of animal and plant life in the reserve. 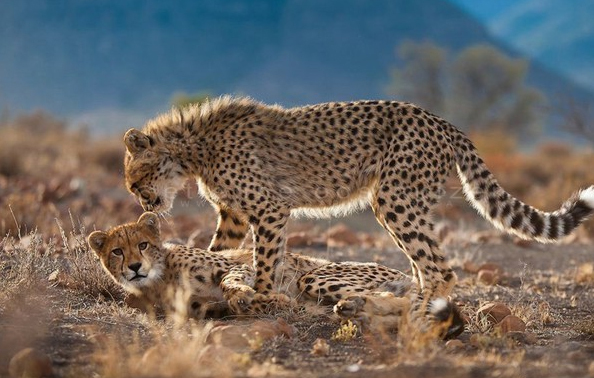 Animal sightings at Samara might include cheetah, buffalo, white rhino, wildebeest, Cape mountain zebra, giraffe, herds of antelope, meerkat, aardvark and leopard tortoise. Samara offers a safari rather different from the usual. It is experiential by nature with conservation at its heart. Learn about the work being done at Samara for the love of the land, enjoy carefully guided safari drives through magnificent scenery, “read” animal tracks on the landscape and marvel at ancient Khoisan rock art. Walk in the wilderness, accompanied by your field guide, and watch many kinds of birds. Star gazing is particularly rewarding in the Karoo’s expansive night skies. 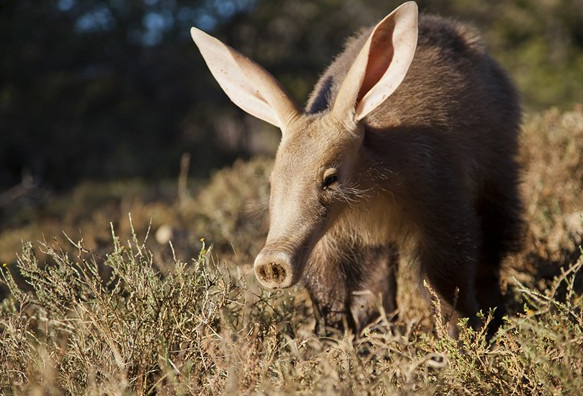 The night-time Aardvark Safari is a unique offering at Samara, and an exciting opportunity to see this fascinating mammal. Participative experiences are also offered at Samara, for example the planting of a particularly useful and ecologically friendly succulent species called ‘spekboom’. In addition to wildlife and conservation activities, Samara’s guests can enjoy tennis, swimming and picnics on an awe-inspiring landscape. Nearby, there are cultural tours and animal encounter programmes in which to participate. For children, there are special activities and projects to keep them enthralled. Mail us to book, or call us on +27 21 797-7122 (International) or 0860 102 907 (local).